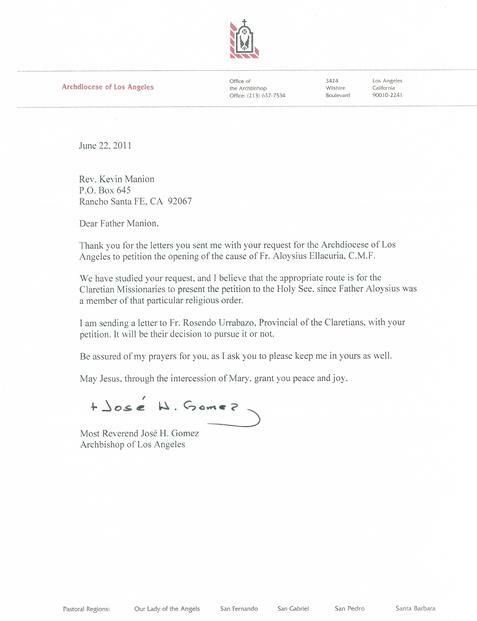 "I received your letter with interest on the cause for canonization of Fr. John Aloysius Ellacuria Echevaria, C.M.F. The Office for Canonical Services recommends moving slowly and with full knowledge and understanding of what such an undertaking may involve." "The Claretian Superior informs us that all their resources are fully involved in the causes for two hundred martyrs during the Spanish Civil War, and they are unable to allot anything further to this most worthy cause. They did confirm that they had no objection to some other entity taking up this cause." 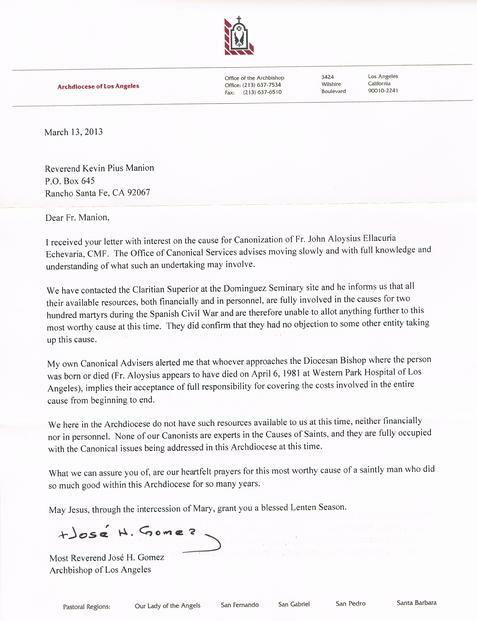 "My own Canonical advisors alerted me that whoever approaches the Diocesan Bishop where the person was born or died... implies their acceptance of full financial responsibility for covering the costs of the entire cause from the beginning to end." "We here in the Archdiocese do not have resources available to us... neither financially nor in personnel." "None of our canonists are experts in the Causes of Saints." 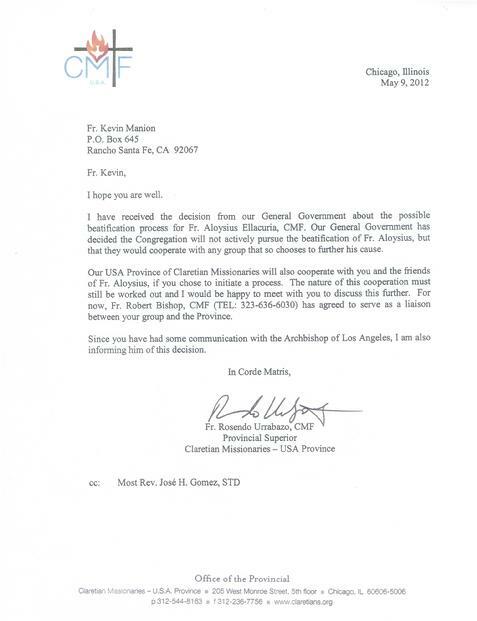 "Our canon lawyers are fully occupied with the Canonical issues being addressed in this Archdiocese." "We can assure you of our heartfelt prayers for this most worthy cause of a saintly man who did so much good within this Archdiocese for so many years." May Jesus, through the intercession of Mary, grant you a blessed Lenten season.